Welcome 2016! As the New Year begins I tend to think a lot about the year just gone and life ahead. 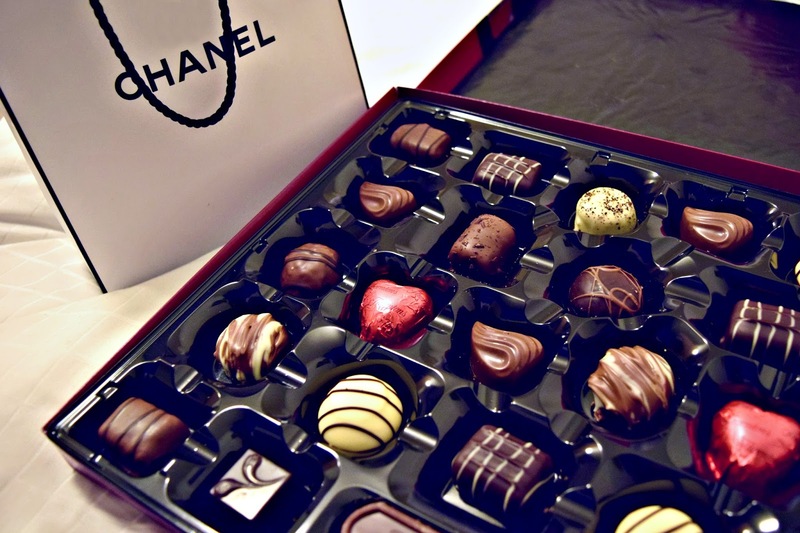 They say life is a box of chocolates, you never know what you’re going to get. In some ways I agree, yes life is unpredictable, which makes it hard to prepare for anything in life, but I want to believe that life is what you make it. It can be hard to stay positive when all around are negatives. I consider myself to be quite difficult in the sense that my outlook can go from really positive to very negative. I would like to think that my actions and decisions can have an impact on my life. For example, I would like to think that if I worked hard at a relationship that it would always be beautiful and that if I worked hard at work, I would always be able to provide and take care of myself regardless of circumstances, but again you can never tell what life will bring, you can only do the best that you can and make the most out of each situation. We all know that life can be cruel at times and we can never tell what life will throw at us next to carry on our shoulders with no choice as we try to get on with life. Unfortunately the world doesn’t stop for anything, it just keeps on going. If we are not careful, we could easily end up going through life constantly fearing what may be around the corner, causing us to create a life that is as safe as possible. We need to be careful of the walls we build to protect us, if left there too long, they could also end up harming us. Allow room for opportunities and allow room in your life for people, take a few chances. The thing is with life, is that you only get one, it is so precious and you should protect it, but you also do not want miss out on living. If you love someone, tell them, if you care about someone, tell them and if you want to take try something new, go for it, because otherwise you may end up regretting the fact that you never found out what could be. Sometimes, I feel that people only consider ‘living’ life to be when you are doing something extraordinary and out of the norm, but who is to say what it means to ‘live’ life. At the end of the day, it all comes down to your priorities, what is most important to you and what makes you happy. We have to stop comparing each of our lives, half the time we don’t know as much as we think we do about somebody else’s life, only what they choose to share. We don’t have to be doing something extravagant to make a difference in the world, sometime’s the smallest things can make such a difference. This ramble has no conclusion really as I am fully aware that I do not have all the answers. All I know is that when we are there for each other, it makes life easier and more beautiful. There is no way of telling what 2016 has to bring, but I pray that God would help us to deal with everything that comes our way. May we all create many beautiful moments in 2016 to cherish in the years to come. So Happy New Year to you and may we all continue to grow in ourselves, become wiser, kinder and richer with joy. 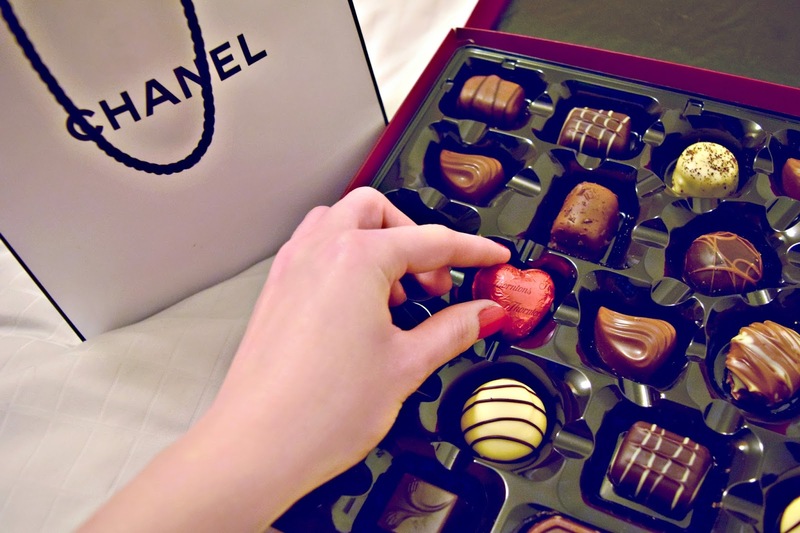 Chanel and chocolates are perfect combo, Babe! Such lovely pictures! Wish you all the best for 2016! Looks so delicious! Happy New Year!